Drama was scarce this week in Barcelona for the US Junior Fed Cup team, and that didn't change in Sunday's final, when Gabby Andrews, Louisa Chirico and Taylor Townsend collected another shutout win, this one over No. 2 seed Russia that gave them the title. Louisa Chirico, playing No. 2 singles, started the final with another straight-set win, her fifth this week, giving the US a 1-0 lead. After Daria Kasatkina had won three matches for Russia at the No. 2 spot to help the Russian reach the final, coach Oxana Rodina opted to go with Alina Silich instead against Chirico, but it made no difference to the 16-year-old from New York, who beat Silich 6-4, 6-3. 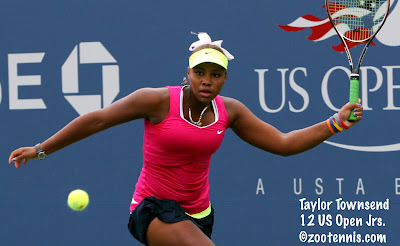 Taylor Townsend lost the first set of her match with Elizaveta Kulichkova at No. 1 singles, the third time in five matches she dropped the opening set, but, as in the other two, she fought back for the win, taking it 2-6, 6-3, 6-1. That clinched the Cup for the US girls, but unlike in the semifinals, the doubles was played, with Andrews and Townsend collecting their fourth win of the week with a 6-3, 6-4 victory over Silich and Kasatkina. The US girls, coached by Kathy Rinaldi, did not lose a match all week, shutting out Spain, Korea, No. 7 seed Egypt, No. 3 seed Brazil and No. 2 seed Russia. It is the first US Junior Fed Cup title since 2008, when Christina McHale, Sloane Stephens and Kristie Ahn won the title in Mexico. It also has to be particularly special for Townsend and Andrews, who were expected to play on the team last year in Mexico, only to have the USTA cancel their trip due to a US State Department advisory against travel in that area. Andrews and Townsend were on the US team that won the ITF 14-and-under World Junior Tennis competition in the Czech Republic in 2010. Brooke Austin, who played in the April Junior Fed Cup qualifying round, also deserves recognition for her contribution to the eventual title. If the girls final was short on tension, the boys final made up for it. No. 2 seed Italy defeated No. 3 seed Australia 2-1, with the doubles deciding the champion. After Australia's Harry Bourchier defeated Filipo Baldi 4-6, 7-6(2), 10-8 (no final set tiebreakers in these competitions) at No. 2 singles and Thanasi Kokkinakis won the first set from Italy's Gianluigi Quinzi in the No. 1 spot, Australia was looking good for their first title since 2009, but Quinzi came back to even the match with a 1-6, 6-0, 6-3 victory. Italy rode that momentum to a 6-0 first set in doubles, but the emotional roller coaster was not quite finished. Australia won the second set 6-3, but Baldi and Quinzi took the final set from Bourchier and Kokkinakis 6-2 to deliver Italy's first ever Junior Davis Cup title. Quinzi and Baldi were on Italy's 2010 World Junior Tennis 14-and-under team that lost 2-1 in the final to Chile, losing the doubles decider then. The top-seeded United States boys team finished third with a 2-0 win over No. 4 seed France. Stefan Kozlov, 14, defeated Quentin Halys 6-7(4), 6-4, 6-4 at No. 2 singles, while Noah Rubin beat Johan Sebastien Tatlot 6-4, 6-3 at No. 1 singles. Doubles were not played. Jared Donaldson, who was also on the North American qualifying team, along with Ernesto Escobedo, did not play singles on this trip, but did play three doubles matches. For the complete results, see the ITF junior website. In the three Pro Circuit events concluding today, the theme of US girls' success continued. 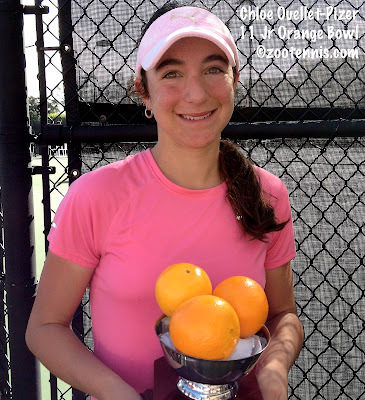 Seventeen-year-old Jamie Loeb won her second $10,000 event since June, this time in Amelia Island, Fla., also on clay. The unseeded Loeb, who had beaten No. 2 seed Maria Fernanda Alvarez Teran of Bolivia 6-2, 6-3 in Saturday's semifinals, defeated unseeded wild card Mari Osaka of Japan 6-3, 7-5 in today's final. The doubles title in Amelia Island went to Alvarez Teran and Maria-Fernanda Alves of Brazil, the top seeds, who defeated No. 2 seeds Elizabeth Ferris of the US and Anastasia Kharchenko of Ukraine 6-2, 6-2. At the $50,000 Party Rock Open in Las Vegas, No. 2 Lauren Davis defeated unseeded Shelby Rogers 6-7(5), 6-2, 6-2. Davis, who had reached the final of last week's Albuquerque $75,000, losing to Maria Sanchez there, avenged that loss in the first round in Las Vegas, in three tough sets, then had another marathon in the semifinals against No. 4 seed Anastasia Rodionova of Australia. Reports were that Davis was sick today in the final, but she managed to get through it, and will enter the WTA Top 100 when the rankings are released Monday. That gives her a good shot at making the main draw of the Australian Open. At the $10,000 Irvine California Futures, Daniel Nguyen won his first singles title as a professional, beating top seed Alex Bogdanovic of Great Britain 7-5, 6-2 in today's final. Nguyen, who along with Steve Johnson, won his fourth straight NCAA team title at USC in May, received a special exemption into the draw by making the quarterfinals the previous week. In addition to beating Bogdanovic, Nguyen also defeated No. 5 seed Dennis Novikov in a rematch of their NCAA team semifinal match at No. 3 singles, also won by Nguyen, and No. 2 seed Austin Krajicek. 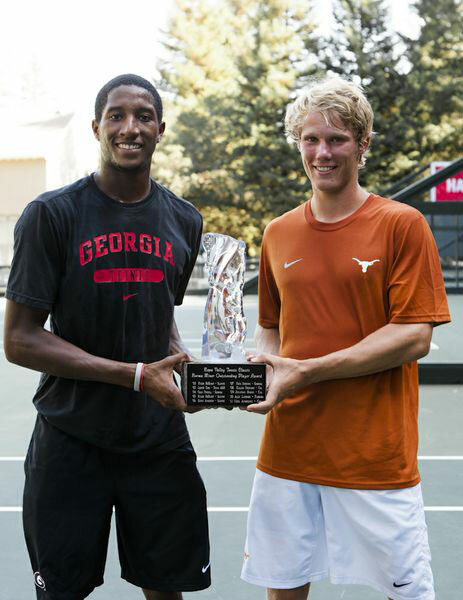 Krajicek and Devin Britton won the doubles title, their third Futures title together this year. The top seeds didn't have too many obstacles this week, needing to win only four sets after receiving a first round bye and two retirements, including in the final, when unseeded UCLA teammates Novikov and Marcos Giron retired down 6-2. It is Britton's ninth doubles title of the year. The weekend's pre-qualifying phase of the ITA All-American tournaments is complete, with qualifying beginning Monday for the men and Tuesday for the women. The women's updated pre-qualifying draw can be found at the ITA website's tournament page. The men's pre-qualifying and qualifying draws are here. Guest Post from Coach David Hodge: Is the “trophy position” really the trophy position? 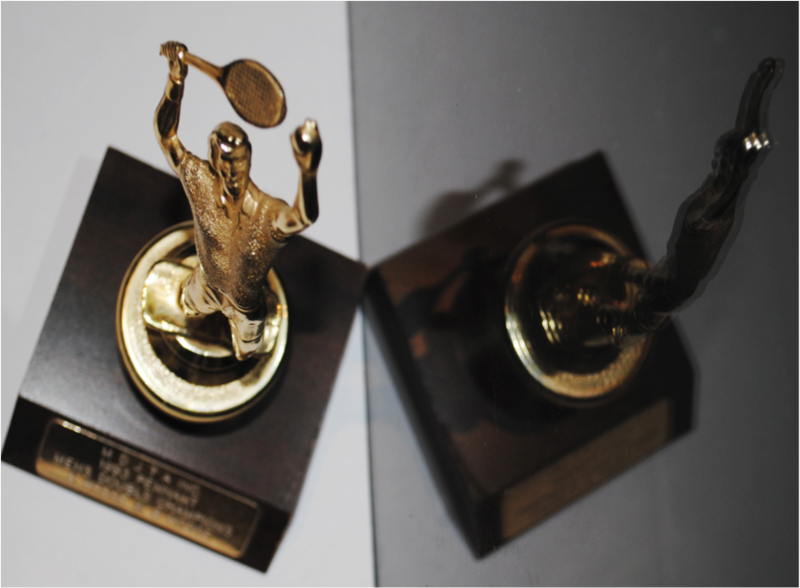 Remember that first tennis trophy you won? Think back. It seemed mammoth. You weren't sure how you actually fit it on your shelf next to your other worldly belongings. They all had the same construction – base with an engraving like mine “MDJTA Inc. 1993 Pennant Mens Doubls Champions D Hodge & B Hodge”. Yes, they failed to put the “e” in doubles but I only noticed that after the euphoria had died down decades later! On top of that base were tall columns of the cheapest gold embossed plastic made. It is one trophy I've kept, a memorable title with my father, Bob. But this isn't about the story that has grown to be my epic triumph at a small tennis club in the country as a kid. It is about what stood atop that base and column that is referred to incessantly in clinics and private sessions by coaches all across the world. On the apex of that trophy, sitting gallantly, like a golden god, was the iconic serving man. He represented success, league standings, past triumphs, and everything that was cool about the skin tight short shorts of tennis' yesteryear. 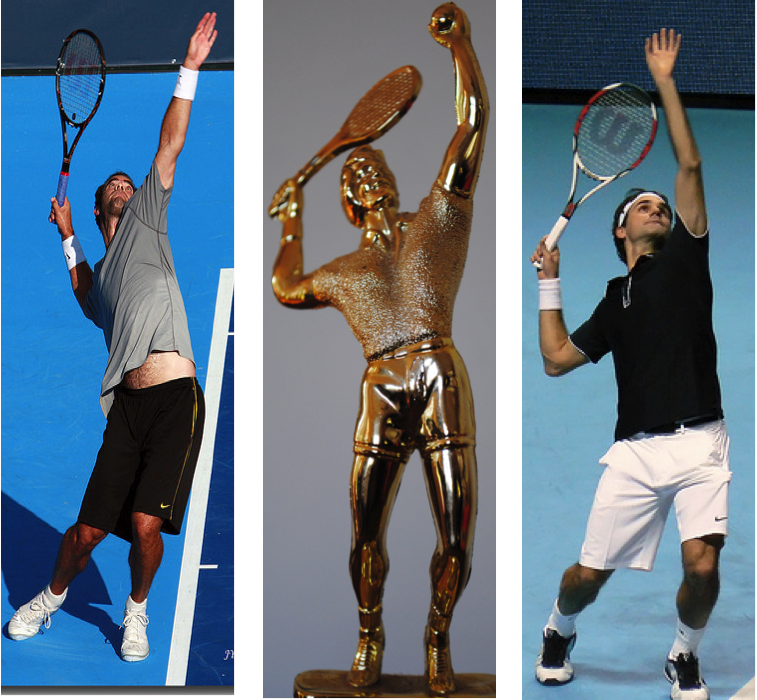 He has been coveted, presented, mimicked, frozen, used and abused throughout tennis history. He's got more gold draped over him than Andy, Serena, and the Bryans put together. But what has stood the test of time more than all that, is that position. The trophy position. Mid swing, mid flow, casually held as if he were waiting for a bus. I sense that recollection on your face now. This phrase as been uttered so many times to unsuspecting hackers that most people have been numbed by the reference. Technically should we, as tennis professionals, still be using it at all? 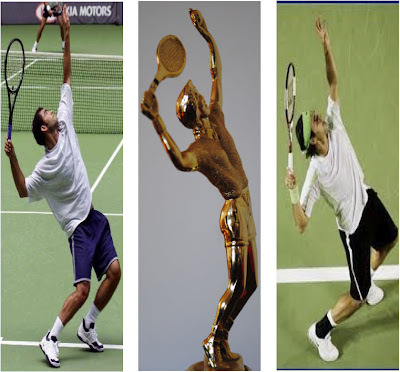 The serve is basically a throwing motion, fluid and loose. So to freeze a rigid moment in that fluidity can be confusing to even the most coordinated youngster. We will call it mid swing or preparation phase and move on. • He has little knee flexion. Ideally his back knee flexion would measure 110+/-10 degrees, so he won't be able to use ground force reaction (GRF) to begin the summation of forces required to create power. Remember this mold would have been created a long time ago when serves were predominantly used to start the point, not end it! • His toes are facing slightly different directions meaning GRF will be impeded. For efficiency sake keep your toes facing the same direction to keep your muscles working together. • He demonstrates a “foot back” technique. Foot back and foot up technique have both been effective on tour. • Hip tilt is present based on the waist band of those trendy shorts, but the left hip is unlikely to have crossed the baseline plane as it should (unless he's committing a sneaky foot fault!). • Shoulder tilt is present. The first separation angle is present between hip and shoulders on the vertical plane. • His shoulders are rotated slightly further than the hips creating a second separation angle around the twist axis or horizontal plane. His little plastic muscles of the trunk are now pre-stretched. • His tossing arm is extended (but I can't remember the last pro I saw keep the second ball in the hand!). • His hitting arm is elevated slightly above the line from shoulder to shoulder extended, i.e. his right elbow is not in line with his right and left shoulders. • His right elbow is at 90 degrees. • There isn't any wrist lag evident. • And hair nicely coiffed and slightly breeze blown...ok, I'm getting carried away. And if you don't want to take my word for it, how about a lesson from these two guys? You may have seen them before. I won't waste space introducing them. Two of the best servers statistically of all time (and they did some other stuff pretty well too). • Whatever stance you use, once planted, keep your toes facing the same direction. • Get rid of that ball in your left hand! • Keep your right elbow at 90 degrees but relax it slightly to bring it in line with your shoulder tilt. • Experiment with a continental grip. With the above changes you just may like it. • Get an up-to-date haircut and save on some products ok! The Topline Trophy shop doesn't exist anymore behind the old car service station that shared an intersection with 2 pubs and a church. It's hard to outlive a pub or church in my hometown! But if the trophy shop was still there and those serving men on those trophies could talk, I'm sure they would want to be melted down and re-shaped to match the modern masters. David Hodge is a career coach and organisational leader with a wealth of experience. He is a manager for Aussie Athletes Agency, the premier college athlete recruiting agency in Australia. He is also the Founder and Director of Return Serve, which is a not-for-profit, volunteer-based organisation committed to creating opportunities to the broader community, assisting elite competitors, and educating coaches. Previously, as the Head National Tennis Coach for Tennis Australia he produced 42 Australian National Champions and 38 Australian representatives. His career has spanned the professional circuit, U.S. College Tennis (Stanford University and the University of Colorado) and numerous academies and clubs. 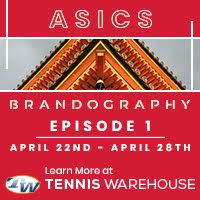 He has coached 19 players inside the top 1000 ATP/WTA rankings, 18 players inside the top 100 in Australia, and 7 players inside the top 100 ITF rankings, including a world number 1, Wimbledon junior finalist and champion. Follow him on twitter @CoachDavidHodge. The top-seeded US girls team of Taylor Townsend, Louisa Chirico and Gabby Andrews reached Sunday's ITF Junior Fed Cup final in Barcelona, beating No. 3 seed Brazil 2-0 today. I didn't know the weather could be cold and wet in Spain this time of year, but according to Sandy Harwitt's story for the ITF junior website, those were the conditions for today's semifinals, which were disrupted by rain for a couple of hours in the early afternoon. The US girls got off to their usual excellent start, with Louisa Chirico, now 4-0 this week at No. 2 singles, beating Carolina Meligeni Alves of Brazil 6-3, 6-0 before the rain set in. Chirico did not lose a set in any of her four wins during the week. Taylor Townsend, playing No. 1 singles all week, has had more challenging matches, losing her first set of the tournament to Sara Sorribes of Spain, then dropping the opening set against Beatriz Haddad Maia of Brazil today. The live scoring listed Townsend as retired at 6-6 in the first set, which suggested an ankle turn or another such mishap, but it turned out to be a mistake, with Townsend still on the court at the time. She came back to take the match 6-7(5), 7-6(5), 6-1 to give the US an insurmountable 2-0 lead, so the doubles were not played. The US girls will play No. 2 seed Russia, who beat No. 6 Australia Friday by a 2-0 score. Daria Kasatkina beat Zoe Hives 6-2, 7-5 at No. 2 singles and Elizaveta Kulichkova took out Isabelle Wallace at No. 1 singles 6-1, 6-3. 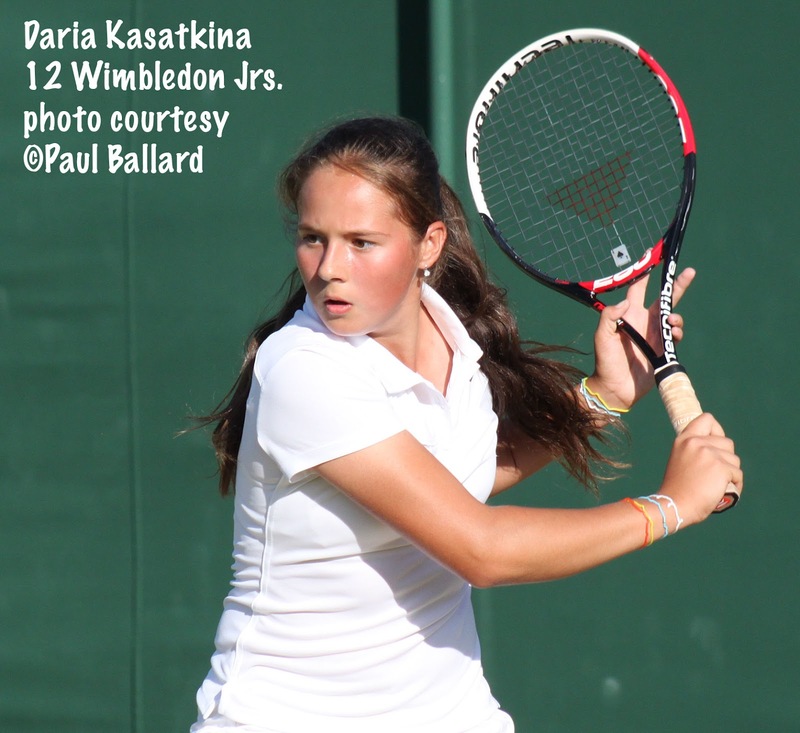 The 15-year-old Kasatkina did not play No. 2 singles in Russia's first match with Germany, but she has been in the other three ties, and has had impressive wins the past three days, so something's got to give when she meets Chirico. Townsend, the ITF No.1, and Kulichkova, No. 7 in the current rankings, have never met. The top-seeded US boys will play France on Sunday for third place, after dropping a 2-0 decision to No. 3 Australia on Friday. Stefan Kozlov, playing No. 2 singles, lost for the first time this week, falling to Harry Bourchier 6-1, 3-6, 7-5, and Noah Rubin dropped a 6-3, 6-2 decision at No. 1 singles to Thanasi Kokkinakis. The No. 2 seeded Italian team of Gianluigi Quinzi and Filippo Baldi are looking very strong after a 2-0 win over France, although Quinzi was taken to three sets by Johan Sebastien Tatlot at No. 1 singles. There will be matches played on Saturday for positions in the middle. With the top four and the bottom four in action on Sunday. The Division I ITA All-American tournaments, the college season's first majors, get underway with the men playing in Tulsa, Oklahoma and the women in Pacific Palisades, California. The pre-qualifying begins on Saturday, with 64 women and 164 men needing to post three victories just to reach the qualifying stage, which begins on Monday. Hunter Callahan of Ohio State was the top seed in pre-qualifying for the men, but his opponent, Richard del Nunzio, (who I had thought had committed to Fresno State but instead is listed as at Oklahoma State, where former Fresno head coach Jay Udwadia is now in his first year leading the Cowboys), got a walkover into the next round, so Callahan probably moved into the qualifying. Tamas Batyi of UNLV and Justin Shane of Virginia are the No. 2 and No. 3 seeds in pre-qualifying in Tulsa. Complete draws can be found at the ITA website's tournament page. The draws are smaller in the women's event, with only 32 players in the main draw, compared to 64 for the men. In the pre-qualifying, the top two seeds are absent, with Illinois' Allison Falkin and UCLA's Chanelle Van Nguyen the highest seeds still in the pre-qualifying draw. As usual, there are some very high profile freshmen in the pre-qualifying, including Virginia's Julia Elbaba and Stephanie Nauta, Florida's Danielle Collins and UCLA's Kyle McPhillips. The complete draws can be found at the ITA website's tournament page. Today in Amelia Island, the Osaka sisters continued their charmed and surprising run, reaching the semifinals at the $10,000 Pro Circuit event, and because they play each other, assuring an Osaka in the final. Mari, 16, beat qualifier Kelsey Laurente 7-5, 0-6, 6-4 in today's quarterfinal, while Naomi, 14, defeated Federica Grazioso of Italy 6-4, 7-6(5). Jamie Loeb beat Maria Shishkina 6-4, 4-6, 6-2 to advance to the semifinals against the only seed remaining, No. Maria-Fernanda Alvarez-Teran of Bolivia. Alvarez-Teran downed Katerina Stewart 6-1, 6-4, and has not lost a set this week. Both the Junior Davis Cup and Junior Fed Cup teams from the United States advanced to the semifinals Friday with 3-0 wins over their No. 7 seeded opponents. Taylor Townsend and Louisa Chirico stayed perfect in singles against Egypt, and Townsend and Gabby Andrews didn't all the Egyptian doubles team a game today, to also go 3-0 in round robin play. Next for the top-seeded US girls is No. 3 seed Brazil, who beat No. 5 seed Italy to take their round robin group with a 2-1 record, the same as Italy's but with Brazil's direct win over Italy, they move on. In the other girls semifinal, No. 2 Russia will face No. 6 Australia. Australia beat No. 4 Latvia to finish first with a 2-1 record, which is the same record as Paraguay in that division, but Australia had won their head-to-head on opening day, so they advance to the semifinals. The top four boys seeds advanced to the finals, with the No. 1 seeded US boys also going undefeated in their round robin group. Stefan Kozlov and Noah Rubin got singles wins and Kozlov and Jared Donaldson took another three-set doubles match from Russia to set up their meeting Friday with No. 3 Australia. Like the other top seeds, Australia also was undefeated in their round robin group, beating No. 6 Argentina 3-0. The other semifinal has No. 2 Italy versus No. 4 France, after they beat No. 8 Sweden and No. 5 Korea 2-1 respectively. 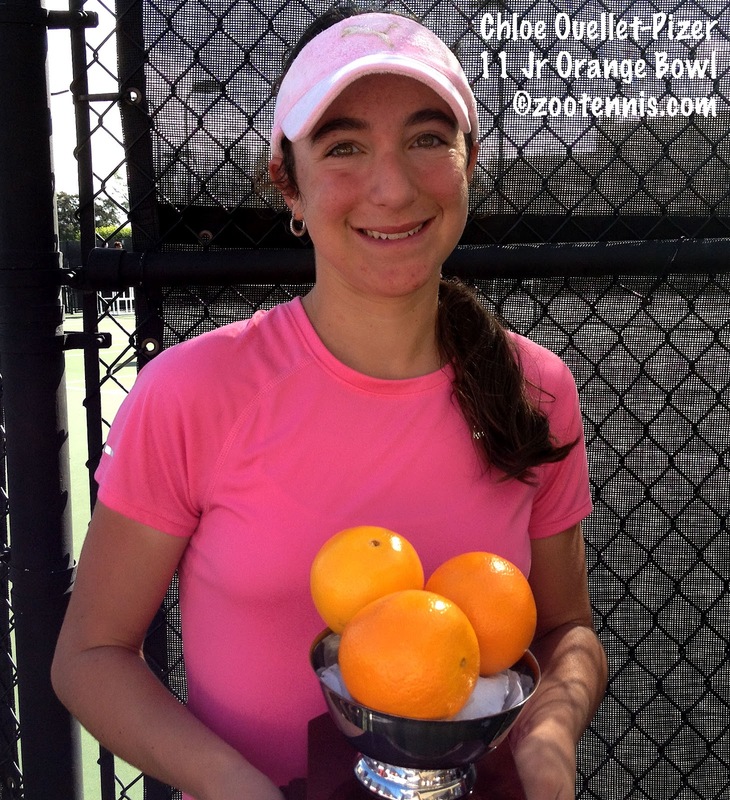 Sandy Harwitt has more at the ITF junior website and at tennishorts.com. Complete results from all three days can be found here. Thanks to a reader, I heard about this disciplinary action against the Vanderbilt women's tennis team for violating the school's hazing policy. After many high-profile news stories about hazing on college campuses, some involving serious injury and even death, this obviously doesn't rise to anything approaching that level, but you can hardly blame the school for wanting to emphasize the danger of anything that could be construed that way. This report is from the Vanderbilt student newspaper. This article from The Tennessean, quotes head coach Geoff Macdonald. I mentioned yesterday the wins by juniors Jamie Loeb, Maria Shishkina, Kelsey Laurente and Katerina Stewart at the $10,000 Pro Circuit event in Amelia Island, and they all won again today, reaching the quarterfinals. Two girls I didn't mention, wild cards Mari and Naomi Osaka, also are worthy of notice. The sisters--Mari is 16 and Naomi will be 15 next month--won their wild cards in a tournament, according to this USTA Florida post (and did the same for the upcoming $10,000 in Gainesville). USTA Florida says they are from Pembroke Pines, Florida, although their ITF nationality is listed as Japan. If both win on Friday, they could face each other in the semifinals. Day two of the Junior Davis Cup and Junior Fed Cup in Barcelona saw both top-seeded US teams pick up 3-0 wins. Louisa Chirico and Taylor Townsend won their singles matches against unseeded Korea and Townsend and Gabby Andrews won their doubles match to go 2-0 in Group A. The US girls can advance to the semifinals with a win over No. 7 seed Egypt, who lost today to unseeded Spain 2-1. If Egypt beat the US and Spain beats Korea, three teams will be 2-1, so then percentage of sets and games won will determine who advances. If Spain loses to Korea and Egypt win, Egypt would advance based on their head-to-head win over the US. The US boys provided more drama. Stefan Kozlov won his match against Japan in straight sets, but Noah Rubin trailed Ken Onishi 6-4, 5-3 before saving two match points and going on to post a 4-6, 7-6(6), 6-2 victory. 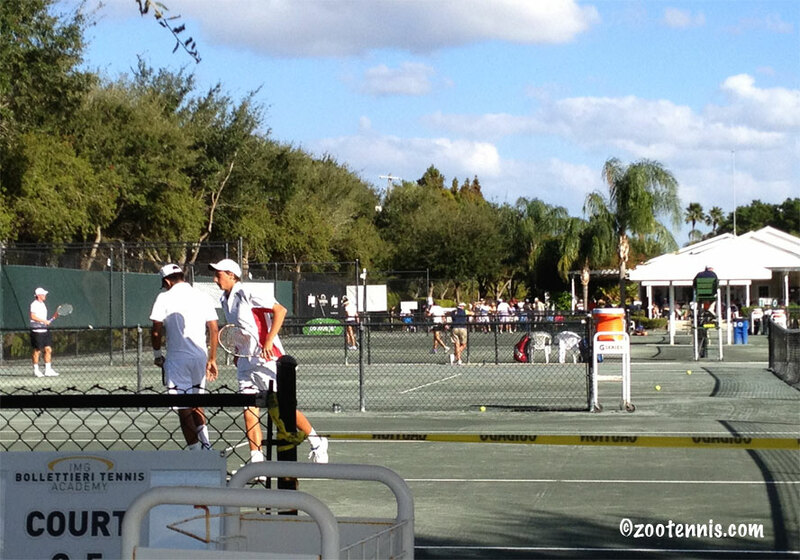 The US doubles team of Donaldson and Kozlov completed the 3-0 sweep with a three-set doubles win. Donaldson, who has only played doubles in the first two ties, is the subject of this ITF Junior website article from Sandy Harwitt about his decision to train in South America the past two years. One correction--despite what his ITF profile says, Donaldson is not left-handed. The US boys will play No. 7 seed Russia, with a much simpler scenario than the girls'. Both teams are 2-0, so whichever team wins Thursday will advance to the semifinals. All of the other boys seeds also won today, and in something of an oddity, every one of the 16 teams are either 2-0 or 0-2. This means both seeds in each group will play each other for a berth in the semifinals, with the winner advancing with a perfect 3-0 record. There were many more upsets in girls play. No. 3 Brazil fell to Belarus, giving No. 5 Italy a clear path to the semifinals if they can beat Brazil Thursday. Mexico beat No. 6 Australia, leaving all four teams in Group C with 1-1 records. I will not even attempt to lay out the scenarios for that group. No. 2 Russia is also 2-0, and they will advance to the semifinals with a win Thursday over unseeded South Africa. For today's results, see the ITF Junior website. All the draws, matches, scores, etc. are available here. Live scoring is available at this website. 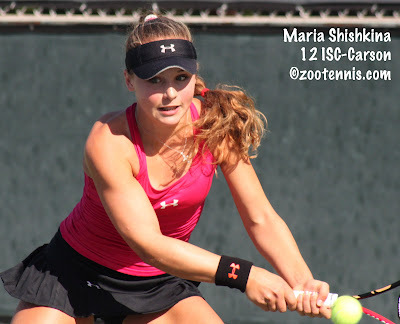 At the $10,000 Amelia Island Pro Circuit event, 14-year-old Maria Shishkina picked up her first win on the professional circuit. After posting three victories in qualifying, Shishkina defeated Denise Starr 6-0, 6-4 in the first round today. Qualifiers Katerina Stewart, 15, and Miami freshman Kelsey Laurente also won their first round matches today, while Jamie Loeb advanced to the second round with a win on Monday. First round action is not yet complete out west at the men's Futures in Irvine and the women's $50,000 Party Rock Open in Las Vegas. Wild card Samantha Crawford lost her opening match to No. 4 seed Anastasia Rodionova of Australia 6-4, 6-3, Crawford's first competition since capturing the US Open girls title earlier this month. Crawford was the subject of this feature in the Las Vegas Review-Journal, which provides a look at her time living in China as a pre-teen. 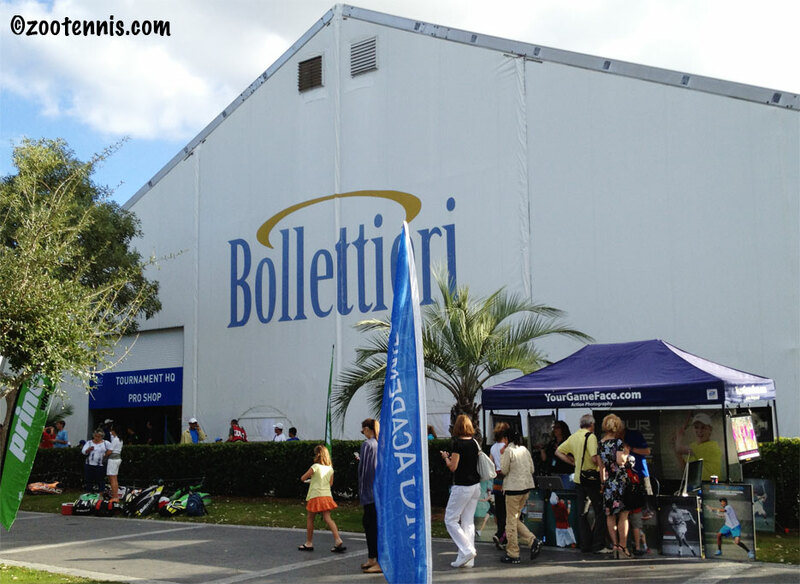 In less than two months, juniors from all over the world will make their way to Bradenton, Fla. and the IMG Bollettieri Tennis Academy to compete in the prestigious Eddie Herr Championships, which feature tournaments for 12s, 14s, 16s and 18s age divisions. 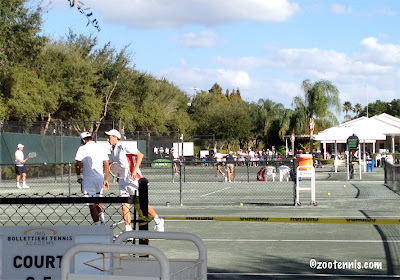 Started in 1987 by Glenn Feldman to honor his grandfather, who is considered the founder of international junior tennis competition, the Eddie Herr will be undergoing several major changes this year. Rick Workman, the longtime tournament director, is no longer involved with the tournament, which will now be managed by IMG. “Our events division has grown enough so we can have staff dedicated to it, and make significant improvements,” said Blake Ulrich, Director of Events for IMG. "Rick actually has a full-time job out in California, so he'll be working out there." Mark Dalzell, an IMG employee who has worked at the tournament for many years, will serve as tournament director. The most obvious change is the reduction in the draw sizes in both qualifying and in main draws in the younger age groups. In 2011, the 12s were a 128 draw, and the 14s were a 112 draw (with byes for the seeds in the first round). This year both the qualifying and main draws for those two age groups will be limited to 64. The 16s and 18s will continue to be 64 draws, and as in 2011, the 18s ITF tournament will be played on clay. Mixed doubles, a competition unique to the Eddie Herr, will be dropped. With smaller draws and no mixed doubles to schedule around, Dazell and Ulrich hope to provide more time for other activities. “We hope to expand things off-court to make the experience better,” Dazell said, mentioning a better player party and the new Prince innovation center, which should be finished by the start of this year’s tournament on November 23rd. Although Workman, a longtime protégé of Eddie Herr, is no longer involved in the event, IMG is not considering any change to the tournament’s name. Entries for the tournament are now open through October 10th (October 30th for the 18s) at eddieherr.com, which has a new look. The ITF 16-and-under Junior Fed Cup and Junior Davis Cup competitions begin in Barcelona, Spain on Tuesday with round robin group play. In the draws made today, both US teams were given the No. 1 seeds. The girls team of Taylor Townsend, Gabby Andrews and Louisa Chirico will start off against unseeded Spain on Tuesday, but that could be a tricky opener, as Spain features Sara Sorribes, who won the 16-and-under European Championship this summer and two $10,000 events last month, all on red clay, the same surface as the Real Club de Polo de Barcelona. Sorribes, whose WTA ranking of 507 is the best in the field, has not played on any surface other than clay all year. The other seeded teams are: Russia(2), Brazil(3), Latvia(4), Italy(5), Australia(6), Egypt(7) and China(8). Russia also gets a tough opener, facing unseeded Germany, which features world No. 3 Antonia Lottner. The US boys team of Noah Rubin, Stefan Kozlov and Jared Donaldson will face Brazil in the opening round. The other seeded boys teams are: Italy(2), Australia(3), France(4), Korea(5), Russia(7) and Sweden(8). Sandy Harwitt is in Barcelona covering the tournament for the ITF, and her articles can be found both at the ITF Junior website and her own site, tennishorts.com. The complete draws and results will also be available here. In ITF junior competition over the weekend, Drew Halbauer of the US picked up his third straight tournament title, winning the Grade 5 tournament in Puerto Rico to give him his 15th victory on the ITF circuit this month. It wasn't easy, as Halbauer, the top seed, needed a third set tiebreaker to beat No. 2 seed Andres Alfonzo Paredes of Venezuela 3-6, 6-3, 7-6(4). It was the third time in his five wins that Halbauer dropped the opening set. 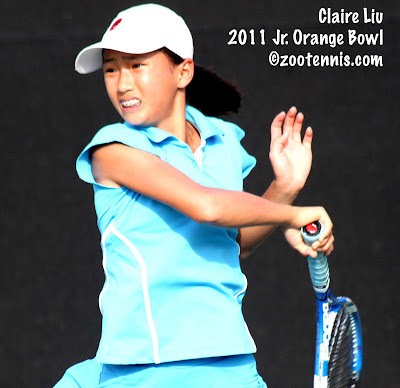 In the girls draw in Puerto Rico, 15-year-old Chloe Ouellet-Pizer won her first ITF titles, taking the singles and doubles despite being unseeded. Ouellet-Pizer beat No. 6 seed Katarina Guarino, also of the US, 6-3, 6-0 in the final, and did not drop a set in her five victories. Ouellet-Pizer and Helen Altick, unseeded in doubles, beat unseeded Olivia Hauger and Meghan Kelley, also of the US 1-4, 4-1, 10-8. I'm not sure why the doubles sets were only played to four games, but it was that way throughout the tournament, except for a couple of boys matches early on. Nicolas Jarry, who won the Grade 4 Delray Beach ITF back in May, won his second title last week at the Grade 4 in Chile. Jarry, the No. 5 seed, beat No. 4 seed Jaime Galleguillos of Chile 6-4, 6-3 in the final. This week the ITF fall circuit in the United States gets underway with the Grade 5 in Waco, followed by the Grade 4 in Wichita Falls next week and then the Pan American B1 Closed in Tulsa, which I will be covering live beginning October 8th. Nathan Pasha, a sophomore at the University of Georgia, won the Audi Napa Valley Classic Playbrave Shootout over Soren Hess-Olesen of Texas 16-14 to collect the Futures Pro Circuit wild card that goes to the winner of the event. After eight players--Pasha, Hess-Olesen, Lloyd Glasspool of Texas, Ben Wagland of Georgia, Riki McLachlan of Cal, Mads Engsted of Cal, Chris Konigsfeldt of Cal and Joe DiGiulio of the USTA--won their round robin groups earlier in the day, the 10-point tiebreakers were played to decide an overall winner. Pasha, who went undefeated in singles over the weekend, was named the tournament's Most Valuable Player. For Steve Pratt's complete recap of the exciting ending, click here. 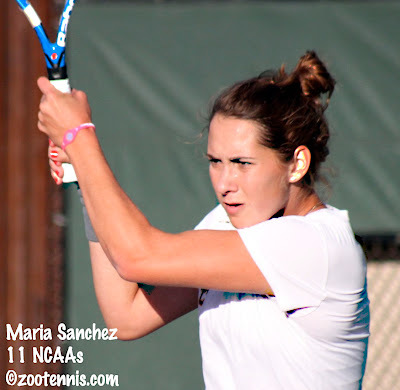 Today on the Pro Circuit, former USC All-American Maria Sanchez won her second title of the year, defeating No. 3 seed Lauren Davis 6-1, 6-1 to claim the singles title at the $75,000 Women's tournament in Albuquerque, New Mexico. Sanchez, who was unseeded, beat No. 5 seed Irina Falconi in the quarterfinals and No. 2 seed Michelle Larcher de Brito of Portugal in the semifinals, both in straight sets, before breezing past Davis, who had two very long battles with Jessica Pegula and Alison Riske in her previous two matches. Sanchez, who won the $50,000 Sacramento Challenger, also reached the doubles final with Falconi, but the top seeds fell to No. 4 seeds Asia Muhammad and Yasmin Schnack 6-2, 1-6, 12-10. In another all-American final today, Dan Kosakowski won his second straight Futures title, defeating No. 7 seed and former Texas A&M All-American Jeff Dadamo 6-4, 7-5 at the $10,000 event in Costa Mesa, California. The former UCLA Bruin, seeded second, has now won ten matches in a row on the Pro Circuit after losing in the final round of qualifying at the US Open in August. In the doubles final, two recent Pac-12 rivals, All-Americans Ryan Thacher of Stanford and Nick Meister of UCLA combined to defeat two former NCAA champions, 2009 singles champ Devin Britton (Ole Miss) and Dadamo (2011 doubles champion with Austin Krajicek.) Thacher and Meister, seeded No. 3, beat the top seeds 4-6, 7-6(6), 10-7. Tennys Sandgren, a contemporary of all the above players and who left the University of Tennessee after his sophomore year in 2011, won both titles at the $15,000 Futures tournament in Canada this weekend. Sandgren, the No. 2 seed, beat top seed Peter Polansky of Canada 6-4, 6-3 in the final. It is Sandgren's fourth singles title of the year on the Futures circuit. Sandgren also got the better of Polansky in the doubles final. Sandgren and Chase Buchanan, the 2012 NCAA doubles champion from Ohio State, were seeded No. 2 and they defeated Polansky and his partner Carsten Ball of Australia, the top seeds, 6-2, 4-6, 10-7. It is Sandgren's fourth doubles title of the year as well, the first with Buchanan. This coming week the women are at the $50,000 Party Rock Open in Las Vegas and a $10,000 event in Amelia Island, with qualifying now underway in both tournaments. The men are at another $10,000 tournament, this one in Irvine, California with qualifying nearing completion there. I'm not in Napa Valley this year for the Audi Classic--I'll be covering the women's version in Portland, Oregon in early November instead--but Steve Pratt is again at the Meadowood Resort providing coverage for usta.com, and keeping tabs on the action as the USTA Juniors compete against players from Texas, Harvard, Cal, Illinois, Georgia and Stanford. There has been something of a turnaround for the Cal team this weekend. After losing 9-3 in a modified dual match format to the USTA juniors on Wednesday, the four Cal players in Napa Valley have all gone 2-0 and lead their round robin groups. After a rough start for the juniors yesterday, in which they won only two of their eight matches, they fared better today, picking up five victories. Joe DiGiulio is now 2-0 and leads his round robin group after his 6-4, 6-3 win over Sudawa Sitaram of Texas today. Steve Pratt's recap of Saturday's action is below. For his recap of Friday's action, see usta.com. ST. HELENA, Calif. , (Sept. 22, 2012) – It wasn’t that long ago that T.J. Pura wondered how he would ever be able to win a match against a college player. Fast forward to Saturday, and that’s exactly what Pura did, beating Georgia’s Eric Diaz in three sets in one of five wins for the USTA Juniors against three defeats at the 12th Annual Audi Napa Valley Classic being played at the Meadowood Resort. Pura, who has committed to Duke and has recently been coached by former Texas A&M star Lester Cook, said energy was the key factor in pulling him through. “I was down an early break in the third set 2-0 but got one back and that just fired me up,” he said. For 20-year Cal head coach and Audi Napa Classic founder Peter Wright, it was another banner day for his Bears, as his players won four straight-set matches to improve to 8-0 over the first two days. The final round of round robin-play begins at 8 a.m. on Sunday with the winner of each pool vying for a spot in the eight-man PlayBrave Shootout later in the day. Also winning matches for the USTA Junior team on the day were Joseph DiGiuilo (age 17), Konrad Zieba (17), Jack Murray (17) and Deiton Baughman, the youngest player in the field and the only 16-year-old. USTA coach Brian Wilson, a former ATP Touring pro and now directing the USTA Regional Training Center Northwest High Performance Tennis out of Kirkland, Wash., thought his guys came back and played strong after a tough opening day. To follow scores through out the day on Sunday, follow @ustacollege10s on Twitter. EVENT FORMAT: Each school is represented by four players to compete alongside the eight juniors, and the 32-man field is split into eight pools featuring three collegians and a junior. Following three matches in pool play, the eight pool winners will compete in a single-elimination, 10-point tiebreak tournament. The winner of the tournament will receive a USTA-sponsored wild card into a USTA Pro Circuit event that is yet to be determined. Note: PlayBrave Shootout to follow. On Thursday, the USTA approved a release that suggested they were revisiting some of the changes made to the junior competitive structure. That statement, along with my comments, is available here. This letter, sent to Tim Russell, chairman of the USTA's Junior Competition committee, from Jon Vegosen and Dave Haggerty, the outgoing and incoming USTA chairman/president/CEO respectively, provides the organization's perspective on possible adjustments to what was passed back in March. Fall tournament tennis is certainly more relaxed than the spring season's dual matches, and in a setting as lovely as the Olympia Fields Country Club near Chicago, it's downright serene. My look at the Olympia Fields Invitational, hosted by the University of Illinois, can now be found at the Tennis Recruiting Network. Again, I would like to thank TRNet for giving me the freedom to cover virtually whatever strikes my fancy in the junior and college tennis realm. It helps encourage me to seek out new tournaments and explore new topics, which I hope you find interesting and informative. There was great news today, which I found on twitter thanks to @Mitch_Krueger, regarding Chase Curry, who was badly injured in an automobile accident on Thanksgiving Day 2010. Curry is back playing tennis at Division II Midwestern State in his hometown of Wichita Falls, Texas, according to an article in the Wichita Falls Times Record News. Curry, who won the Wes Richards sportsmanship award here in Kalamazoo back in 2009, has shown in these past months an inspiring combination of dedication and determination. His family, a great source of strength to him throughout this ordeal, must be so proud of the strides he's made since that tragic day. The article, entitled "Curry Comeback Takes Another Step" emphasizes the milestones Curry has reached since then with undoubtedly many more still ahead. In May of 2011, the BBC published a story about 13-year-old tennis player Naiktha Bains, who was born in England, but due to a variety of circumstances, ended up living in and competing for Australia. Entitled "The One that Got Away," the BBC placed much of the blame for her move on the LTA. This week another such story surfaced, about 16-year-old Isabelle Wallace, who, coincidentally, is on the same Australia Junior Fed Cup team as Bains for next week's International Finals. Wallace is from Scotland, and while Andy Murray is interested in establishing an academy there according to recent reports, Wallace's father says there has been no improvement in the facilities in the six years they have been away. He said: “We’ve been in Australia for about six years and returned to Scotland four months ago but nothing has changed. “There was a lot of talk about new academies and developing training facilities when we left but there’s been absolutely no action. “Girls who used to play with Isabelle in Scotland and who showed a lot of talent have either given up or put their tennis on hold. It’s tragic. The complete article from the Daily Record is here. Great Britain's tennis fortunes are brighter than they have been in many years, with Murray's fabulous summer and the emergence of Heather Watson and 18-year-old Laura Robson (who reached her first WTA final with a victory over Sorana Cirstea of Romania today in China and was, ironically, born in Australia), but the depth there is not so great that they can lose young prospects at this pace. Great Britain's teams did not qualify for the Junior Fed Cup or Junior Davis Cup this year, which isn't the end of the world, but the fact that they did not have a single girl in any of the junior slams this year apart from Wimbledon should merit concern. Robson and Watson are young enough to bridge any gap that may be developing now, but their success shouldn't be an aberration. 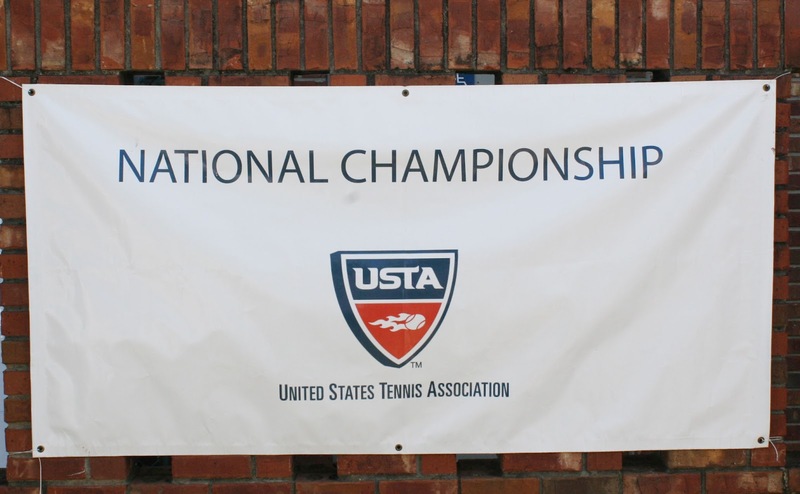 USTA Rethinking Junior Competition Changes? 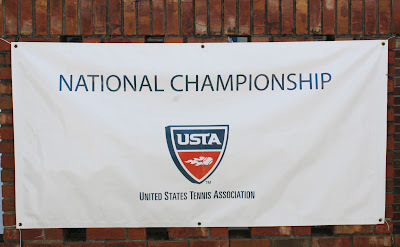 This past Monday and Tuesday, Steve Bellamy, Robert Sasseville and Kevin Kempin were able to spend several hours speaking with USTA leadership, (Dave Haggerty, Gordon Smith, Kurt Kamperman) about the Junior Comp changes. We are pleased to say that we had a very open and candid exchange of ideas. We shared many, if not all, of our concerns about the proposed new competitive structure, and the USTA definitely listened. We also got a better understanding of their long term objectives for making these changes. Long story short, we requested that the USTA hit the “pause button” for the 2013-2014 junior comp changes before instituting these changes. This obviously comes with some procedural challenges for the USTA, however, they were open to the recommendation and said they will discuss it internally and give it full consideration. In addition, the USTA acknowledged that moving forward they wanted to seek input from a broader group of constituents, i.e. parents, college coaches, tournament directors. To that end, the USTA will be getting back to us with some suggestions. All in all, we felt that our meetings with the USTA were very productive, and we believe that we should all hit the “pause button” for a short time to allow the USTA to come back to us with their plans for moving forward. Recognizing that time is of the essence, we anticipate hearing back from the USTA within the next two weeks. This is obviously good news for those of us who, while we may support some of the objectives of the changes, did not feel there was adequate input from all those who would be affected on a daily basis. No one has asked me, but I would much rather the USTA go to the standard worldwide tennis format of qualifying tournaments immediately preceding any and all major national events. If the majority of selections are made by sectional endorsements/rankings and a national ranking list, I would be delighted to see a 128-draw with 16 qualifiers, just like the US Open, here in Kalamazoo for the boys 16 and 18 Nationals. Have I considered all the implications of such a format? Probably not. But (and I know I'm repeating myself from earlier posts on the topic) why are we reinventing the wheel every few years in this country? For all the good intentions, it just ends up confusing coaches, players and parents, who must figure out, all over again, what to play, when to play and where to play every time the system is revamped. Yes, point chasing is easier for the well-to-do, but the points-per-round system has proven to be, on the ITF, ATP and WTA levels where it has been in place for years, the best way to rank tennis players. No system is perfect, and those who can't abide Caroline Wozniacki or others who ascend to the top ranking without winning a slam, object loudly and clearly, to the WTA's system of rewarding those who play often. Yet the tours want their top players to show up, so any alternatives that discourage that also have consequences. These are complicated issues that only become more so when new wrinkles are introduced. The change I'd like to see? A simple, easily summarized tournament structure that can't be changed for at least a decade. And then we could all get back to concentrating on substance of the game, not the structure. 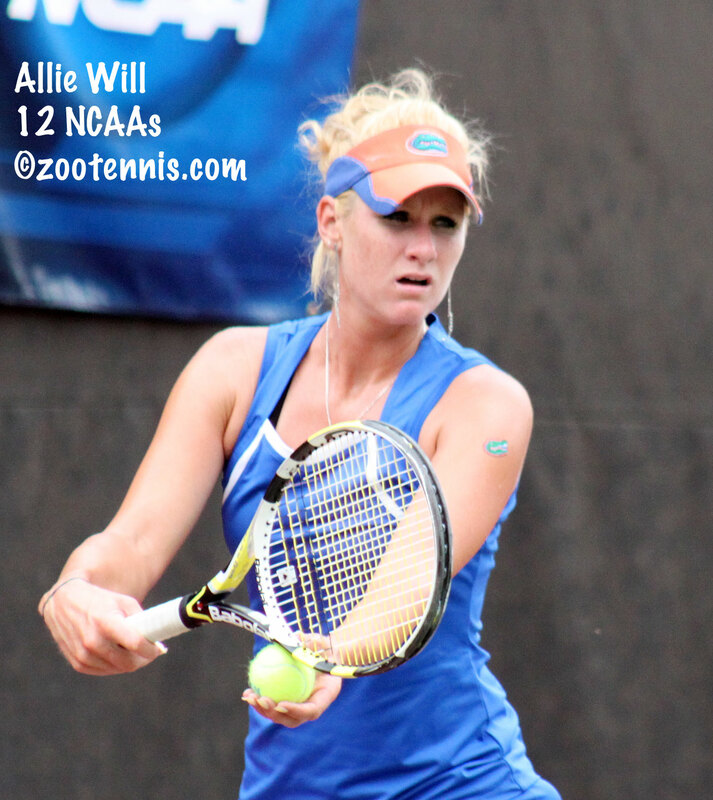 The first round of singles at the $75,000 Women's Pro Circuit event in Albuquerque, New Mexico was completed this evening, with wild card Allie Will getting her best career win, defeating top seed and WTA No. 114 Edina Gallovits-Hall of Romania 3-6, 6-3, 7-6(4). It's not the first time Will has had success against Gallovits-Hall. Last year Will defeated her in the second round at the Las Vegas Pro Circuit event, when Gallovits was ranked 116. Sachia Vickery, who qualified, also picked up her best ranking win, defeating No. 4 seed Anastasia Rodionova of Australia, currently ranked 130, 2-6, 6-4, 6-0. Vickery beat Rodionova last month in the qualifying draw for the WTA's New Haven tournament, when Rodionova was ranked 161. Next week the Pro Circuit moves to Las Vegas, where the $50,000 event has a new sponsor in pop star RedFoo of LMFAO, who spent a great deal of time at the US Open in the company of World No. 1 Vika Azarenka. Now called the Party Rock Open, the tournament announced its wild card selections today. Main draw wild cards were given to Will, Chelsey Gullickson, who won last week's $25K in Redding, Las Vegas resident Asia Muhammad and US Open girls champion Samantha Crawford. Qualifying wild cards were given to Chalena Scholl, Kimberly Yee, Sanaz Marand, Tori Kinard, Lauren Embree and Ayaka Okuno, who is coached by RedFoo in Las Vegas. At the $10,000 Futures in Costa Mesa, Calif., top seeds Alex Bogdanovic of Great Britain and Dan Kosakowski of the US advanced to the second round with straight-set wins. UCLA sophomore Marcos Giron, who got through four rounds of qualifying, won his fifth match in as many days, defeating No. 4 seed Reid Carleton 6-3, 2-6, 7-6(4). At the $15,000 Futures in Canada this week, Wimbledon and US Open boys champion Filip Peliwo continues to struggle to translate his junior success to the ITF Men's circuit. He lost to a qualifier, former Georgia Tech player Dean O'Brien of South Africa, 7-6(2), 6-1 in the first round. 2012 NCAA finalist Eric Quigley of Kentucky posted a big win, downing No. 5 seed and last week's Canadian Futures champion Fritz Wolmarans of South Africa 1-6, 6-3, 6-4. At the ATP Challenger in Turkey, both Steve Johnson and Denis Kudla picked up second round wins to advance to the quarterfinals, where they will play each other. Johnson and Kudla were in Spain as hitting partners with the US Davis Cup team last weekend. Johnson defeated top seed Malek Jaziri of Tunisia 6-3, 5-7, 6-4, while Kudla, the No. 7 seed, advanced when Jamie Baker of Great Britain retired trailing 5-7, 6-3. 3-1. The top seeded doubles team also fell in Turkey, with 2010 NCAA champion doubles champion Drew Courtney of Virginia teaming with India's Purav Raja for a 6-3, 6-2 first round win over Konstantin Kravchuk of Russia and Denys Molchanov of Ukraine. This afternoon in Berkeley, California, the USTA juniors who will be competing in the Audi Napa Valley event beginning Friday played a modified dual match with the Cal men's team, with the USTA juniors winning 9 of 12 matches. 1. Christoffer Konigsfeldt and Ben McLachlan(CAL) def. Deiton Baughman and TJ Pura 8-6. 2. Robbie Bellamy and Henry Craig def. Riki McLachlan and Mads Engsted(CAL) 8-2. The ITF posted the names of the players who will be participating in their Junior Fed Cup and Junior Davis Cup 16-and-under competitions September 25-30 in Barcelona, Spain. This is the first year the tournament has been held in Spain, after four years in San Luis Potosi, Mexico. Last year the US boys did not qualify from the North American region and the US girls did not go due to security concerns, ceding their spot to Canada, who finished second. 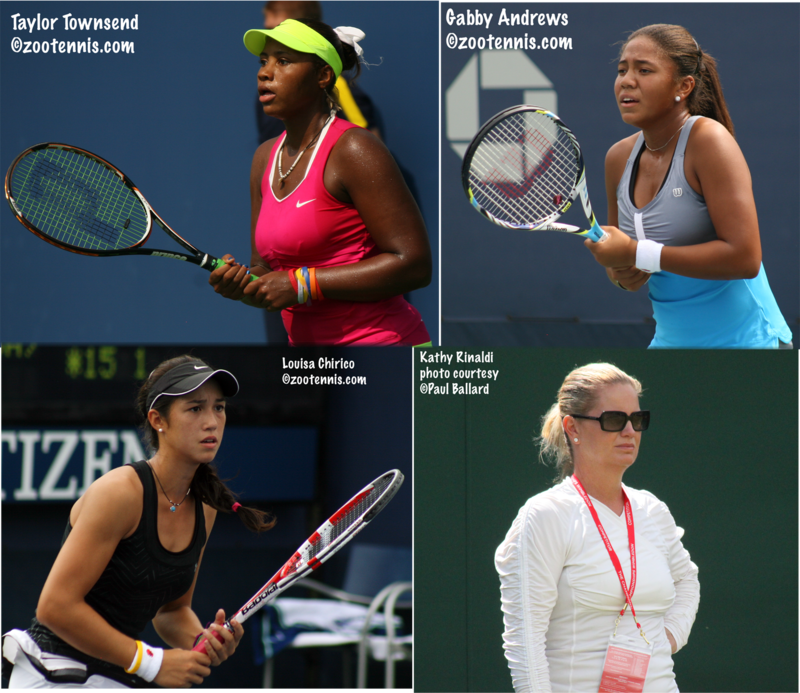 This year the United States will be represented in the Junior Fed Cup by Taylor Townsend, Gabby Andrews and Louisa Chirico, with Kathy Rinaldi of the USTA serving as the coach. The US Junior Davis Cup team will consist of Noah Rubin, Stefan Kozlov (who at 14 is the youngest of the 48 boys competing) and Jared Donaldson. Nicolas Todero is the USTA coach for the boys. Andrews and Townsend were two of the three girls who won the ITF World Junior Tennis team competition in the Czech Republic back in 2010, with Brooke Austin the third player on the team. Rubin and Kozlov were on the WJT team that finished in eighth place that year, with Jordan Belga the third player. The US girls are obviously one of the favorites, but there are several strong teams that will challenge them. Germany has Antonia Lottner, the No. 3 ranked player in the junior rankings, the host team features European 16s champion Sara Sorribes, who won two $10,000 ITF Women's events last month on clay, and Russia, always tough, has ITF junior No. 7 Elizaveta Kulichkova. Australia is the defending champion, but Ashleigh Barty, although eligible, is not returning and 14-year-old Naiktha Bains will lead the team. Great Britain's boys won the title last year, but they did not qualify this year. Italy will be one of the favorites, with world No. 3 Gianluigi Quinzi returning after reaching the finals against Great Britain last year as a 15-year-old. Filippo Baldi and Domenico Mirko Cutuli complete the Italian team. Korea is also fielding a strong team, with Hyeon Chung, Kukeon Kang and Seongchan Hong all in good form. Hong, although only ranked 171, won three straight ITF Grade 5 tournaments last month in China. The seedings and draws will not be released until next week. The complete list of players on each of the 32 teams can be found at this page on the ITF Junior website, under Related Links. The Audi Napa Classic begins Friday, and the USTA today released the names of the college players who will be participating. The names of the eight juniors the USTA selected to compete in the event can be found here. The complete draws can be found at the TennisLink site. The Nike Junior Tour International Masters event is scheduled to be held at the Club Med Sandpiper Bay in Port Saint Lucie, Florida, December 5-12, 2012. The Tennis Recruiting Network revealed their top prospects today, one of two updates to their star system they make each year. TRN has weekly rankings of course, but the blue chip, five star, four star, etc. designations are adjusted only twice, in late winter and early fall. For the individual lists of all seven classes from 2013 to 2019, see this page on the Tennis Recruiting website. In yesterday's roundup, I failed to mention Drew Halbauer's title at the ITF Grade 5 in Honduras, his second straight championship in two weeks in that country. Two weeks ago Halbauer, the No. 3 seed, beat No. 4 seed Luis Valero of Colombia in the final 6-2, 6-0. Last week Halbauer, again the No. 3 seed, defeated No. 1 seed Carter Lin, also of the US, 4-6 7-6(3) 6-1. Sixteen-year-old Gabriella Castaneda of the US, the eighth seed, won the girls title last week, defeating top seed Jennifer Artiga Henriquez of El Salvador 4-6, 6-1, 7-6(3) in the final. Ally Miller-Krasilnikov of the US reached the finals in the previous week, losing to Artiga Henriquez in three sets. For the list of at-large directors, click here. 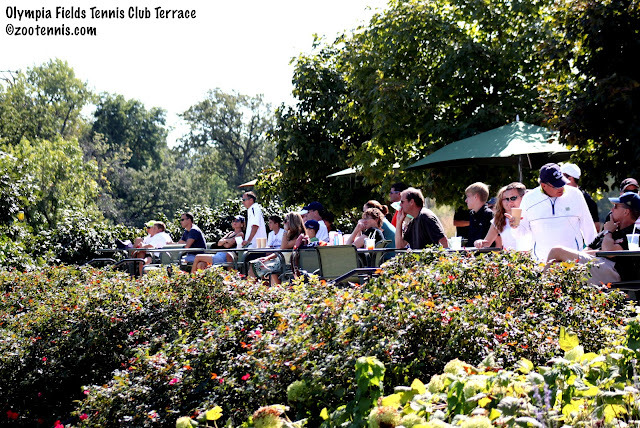 I spent a relaxing weekend at the Olympia Fields Invitational, a fall tournament hosted by the University of Illinois men's team, which featured players from five other teams playing on the country club's six Har-Tru Courts. I will be posting an article about the tournament for the Tennis Recruiting Network next week, but it was a great way to ease into the fall college tennis season, which begins in earnest next month in Tulsa at the ITA All-American. There were several notable results this weekend for young American players. 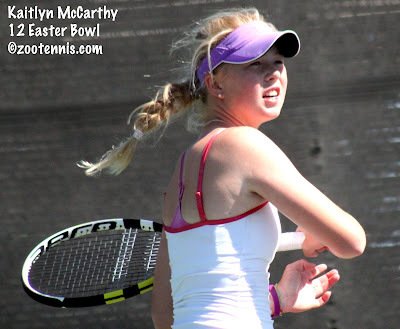 The youngest, 14-year-old Kaitlyn McCarthy, won her first ITF junior title, defeating 16s Orange Bowl champion Erin Routliffe of Canada 6-1, 2-6, 6-2 in the final of the Grade 2 event in Canada. McCarthy was the No. 2 seed in qualifying, and only had to win one match to reach the main draw, but she did win six matches over the course of the week, beating No. 4 seed Domenica Gonzalez of Ecuador, No. 5 seed Peggy Porter of the US, No. 2 seed Ilka Csoregi of Romania and No. 3 Routliffe. McCarthy won the 18s Southern Closed in June without dropping a set against a strong field and now she has another big title over international competition. No. 3 seed Hugo DiFeo of Canada won the boys title, defeating No. 5 seed Brayden Schnur, also of Canada, 6-1, 6-3 in the final. As I mentioned in an earlier post, top seeds Christina Makarova of the US and Csoregi won the girls doubles title 6-4, 2-6, 10-8 over No. 3 seeds Routliffe and Charlotte Petrick, also of Canada. The boys doubles title went to Rogelio Siller of Mexico and Thomas Tenreiro of Venezuela, who beat Michael Mmoh of the US and Tommy Mylnikov of Canada 6-1, 7-5. Neither team was seeded. In the $10,000 Men's Futures in Claremont, California, former UCLA Bruin Daniel Kosakowski collected his second Pro Circuit singles title today, defeating Prakash Amritraj 6-3, 6-1. Amritraj, the 2002 Kalamazoo 18s champion, had a terrific tournament after playing almost no tennis in the past two years due to wrist injuries and rehab, but according to Steve Pratt's release, Kosakowski was just too good today. Devin Britton won his eighth doubles title of the year, with Reid Carleton the sixth different partner to share a title with Britton this year. Britton and Carleton, the top seeds, beat No. 2 seeds Jeff Dadamo and Kyle McMorrow 4-6, 7-5, 10-6 in the final. At the $15,000 Futures in Toronto, Chase Buchanan and Christian Harrison both reached the semifinals in singles, with Buchanan and Tennys Sandgren also advancing to the doubles final. In the women's $25,000 tournament in Redding, California, 2010 NCAA champion Chelsey Gullickson picked up her first title as a professional, and her first since winning a $25,000 Pro Circuit event in Raleigh, NC in 2008, before she started her All-American career at the University of Georgia. Gullickson, who had no WTA ranking before this tournament and had played only one tournament since completing her eligibility at Georgia in May, won two qualifying matches, then defeated Kristie Ahn of Stanford and Allie Will in the semifinals and finals. Gullickson beat Ahn 0-6, 6-1, 6-2 and Will, who recently decided to turn pro with one year of eligibility of remaining at Florida, 6-3, 4-6, 6-2. Arizona State's Jacqueline Cako and former North Carolina All-American Sanaz Marand, the No. 4 seeds beat No. 2 seeds Macall Harkins, formerly of TCU and Connie Hsu, who played one year at Penn, 7-6(5), 7-5 to claim the doubles title. This week the women are in Albuquerque, New Mexico for a $75,000 event and the men are in Costa Mesa for a $10,000 Futures. Qualifying is underway in both tournaments. It’s rare for a junior to be a story at the US Open, but this year Taylor Townsend became one after she and her mother Shelia spoke to Tom Perotta at the Wall Street Journal about her “benching” by the USTA. The story quickly picked up steam, with USA Today, most New York papers, Sports Illustrated and Good Morning America also investigating the USTA’s handling of the world’s top-ranked junior. After her first round win Sunday at the US Open junior championships, I asked Townsend about her curious absence from all competition since the beginning of August and she simply answered she was “a little sick” and it was a “long story.” She wouldn’t elaborate in a follow-up question on the topic from another reporter in the small press conference, and it wasn’t until I saw the Wall Street Journal story Thursday that I fully understood the situation. In a post-match press conference the following day, Townsend said she hadn’t read the WSJ story, but that “everything in there is the truth,” and described herself as “devastated,” when she was told to withdraw from the USTA 18s Nationals and concentrate on her fitness for an eight-week span, which also included the US Open qualifying and the US Open Junior Championships. Q. Taylor, possibly a sensitive issue. You never like to ask a woman about weight issues. Early on I noticed you were pretty overweight. I saw you recently and I marveled at how svelte you looked. Can you talk about your battle with that over the years and what you've done to get in better condition. TAYLOR TOWNSEND: Well, I've always been pretty comfortable with my body. I know and I've been told, it's obvious for me, that I don't have a typical body type of everyone else. Really I just have to work with what I have pretty much. I use it. To me it's been working pretty well (laughter). Being down at USTA I've learned the importance of my fitness level. I learned that just skill alone, talent, being able to use your hands isn't always enough. If I can't get to the ball, if I can't stay in the point long enough, I won't be able to give myself an opportunity to be able to use what I have. Fitness is really important. I've learned that over the course of these years being here. I definitely made a transition, a positive transition, in the way that my body has come along. I think as well as losing weight, dropping weight, but growing as well. I was young probably when you saw me. So just being able to grow into my body, get a little taller, all that stuff, it's helped a lot. Hopefully I can grow a few more inches. But I'm just pretty much using what I have. PATRICK McENROE: You're using it pretty darn well, Taylor. Don't worry about it. Our mission in Player Development is to develop world-class American players through a clearly defined training structure and competitive pathway as well as through the implementation of a comprehensive coaching philosophy and structure. This means working with players to help them maximize their potential and reach the Top 10 of the ATP and WTA rankings. We have a great group of highly skilled and talented coaches and strength and conditioning staff to help players achieve this goal. It is undeniable that the level of fitness of our player(sic) at our three training centers (Boca, Carson and New York) is an essential component to their game and is often directly related to their success on the court. For that reason, our staff continues to work closely with our players on a daily basis to ensure sure we are enhancing their level of fitness. However, each player has a responsibility himself or herself, to make sure they are doing all of the right things on their own to be in peak physical condition. With this in mind, we plan to implement a policy moving forward that if (in our opinion) we do not feel that a player has done their part towards achieving a high degree of fitness, we will not take them on whatever trip may have been planned. Please do not hesitate to let us know if you have any questions and thank you for your support in helping all of us achieve our goal of helping to develop top-ranked, world-class American players." After Townsend lost in the US Open junior quarterfinals to Anett Kontaveit of Estonia, she was asked about the Wall Street Journal article and how the weeks leading up to the junior tournament played out. Townsend said she met with USTA head of women’s tennis Ola Malmqvist after she lost 6-2, 6-1 to Vicky Duval in the first round of qualifying at the Vancouver Challenger, her first competitive match since winning the junior doubles title at Wimbledon with Eugenie Bouchard of Canada. Shutting her off from tennis for eight weeks meant Townsend had to withdraw from the USTA 18s Nationals, where she would have had an opportunity to win a main draw wild card into the US Open with a victory (or a qualifying wild card if she had reached the finals), and she was denied a wild card into the women’s qualifying. That also meant no funding for her trip to New York for the US Open Juniors, but the USTA could not keep her out of the US Open Junior Championships, since she had entered and been accepted by the ITF. Room and board for any junior slam, called hospitality by the ITF, is provided to any junior who reaches the main draw in singles or doubles, so Townsend’s expenses would have been primarily airfare, which her mother paid. The USTA has a grant for airfare for those in the main draw of junior slams outside the US, but does not for New York. Shortly after the WSJ article, Patrick McEnroe was quoted as saying the money issue was the result of a miscommunication, and that the Townsends would be reimbursed, but that seems to contradict the substance of Higueras’ email. The USTA also said later in the week in a tennis.com article that Townsend was not cleared to play the US Open medically, due to a diagnosis of low iron, and once she received clearance to play, they were happy to have her there and pay her way. While the medical clearance part may be true, and I know the USTA can be strict about such things, Patrick McEnroe did not mention this in his comments to the Wall Street Journal. I think the reason this story has had so much resonance is twofold. First, it involves the ITF’s top-ranked junior, who has an exceptionally stylish game, a vibrant personality and the confidence to display both. Second, it raised the issue of fitness vs. body type and whether demanding greater fitness from an obviously successful and full-figured 16-year-old girl is a) appropriate and b) necessary. Townsend has played only nine tournaments this year, but has managed to remain number 1 in the ITF Junior World rankings. She played two matches in one day, as did others, at both the Easter Bowl (which she won) and the US Open Juniors, and there was no evidence in either case of any lack of fitness. It’s interesting to recall the parenthetical clause in Jose Higueras’s e-mail “in our opinion.” Townsend believes she’s fit enough to play and the USTA does not. The heart of the controversy centers on whose opinion takes priority when it comes to competing. I simply can’t accept as necessary the drastic measure of keeping her out of two of the most important tournaments of the year. 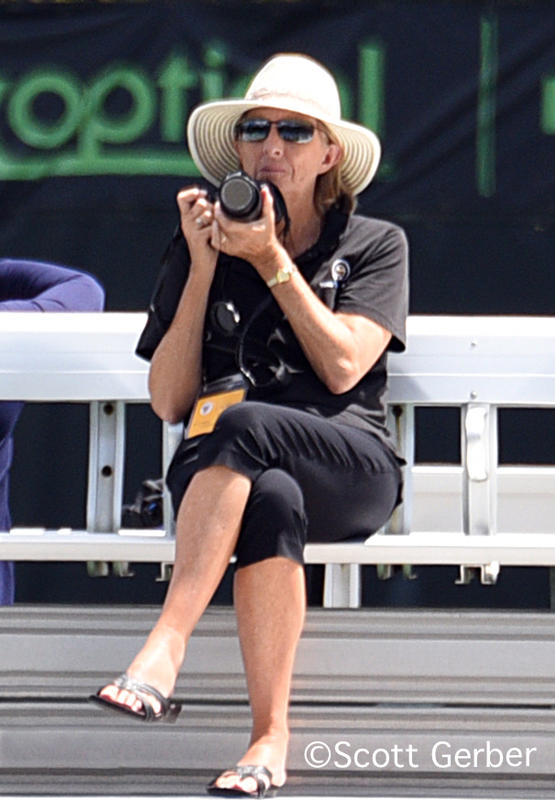 If the USTA felt it had come to that, it would have been more honest to ask her to leave the program, a common practice among all academies, and a scenario that has played out many times at the USTA’s Boca Raton Training Center. Without an advocate outside the organization (she is still an amateur and doesn’t have an agent who may have smoothed out the ‘miscommunications’), Townsend and her mother may have felt shedding light on this difference of opinion was valuable to others. Certainly they were both available to address questions and provide candid answers to all who asked throughout the week, at least after the Wall Street Journal story broke. Townsend could have succumbed to the distraction this created, but she seemed unaffected when on court and went on to win the doubles title, her third junior slam doubles title of the year. Even the staunchest advocate of the USTA can’t think this was handled well by the organization. Player Development has always struggled to communicate with those outside the system, and simply finding out who is actually training full time at the USTA is well nigh impossible. There are many reasons for this, and perhaps confidentiality is one of them, but the high turnover rate of players, coaches and staff over the past two years at Player Development certainly contributes to it. It’s been two years since there has been a press conference or call specifically devoted to player development, and although I don’t believe Player Development was as involved in the new Junior Competition changes as others do, it is but another instance where actual dialogue between affected constituencies was sadly lacking. Sports Illustrated’s Jon Wertheim went on the record after the Open with his opinion that Patrick McEnroe’s position as head of Player Development is in direct conflict with his role as a commentator for ESPN, with ESPN’s failure to cover the Townsend story one of those conflicts. When McEnroe stepped down as Davis Cup captain, I had hoped he would have more time to devote to junior tennis. I’ve seen no evidence of that. I covered both Wimbledon and the US Open Junior Championships this year and in the course of my reporting I did not encounter McEnroe at any junior matches, although it’s possible our paths just didn’t intersect. I understand he is an administrator, but I don’t think he’s involved enough when one of the country’s top prospects says, “I don’t talk to Patrick. I don’t. I don’t see him often, he’s not there,” as Townsend said when asked about their relationship. Would more day-to-day involvement by McEnroe have changed the way this incident played out? I don’t know. Townsend says she has a good relationship with her USTA coach Kathy Rinaldi and that fact didn’t change the narrative. I do know there are many complicated issues here that can’t be reduced to tabloid headlines. What boundaries can the USTA set for its players, who are, after all, children with families, and what can it do if they don’t comply? Does that apply whether the player is ranked No. 1 in the world or has been unable to get out of the 100s? How do you convey and adhere to a philosophy without damaging individuality and creativity? How much do you demand and how much do you let players figure out for themselves? How are you accountable to your players and how are they accountable to you? How do you provide an environment where everyone feels they are playing by the same rules? How do you focus on cultivating Top 100 players through the instruction you provide and yet develop healthy, happy people, not just products that sell tickets to the second week of the US Open? What’s the best way to keep families involved and informed? I could add another fifty questions and you probably can too, which is why even a post this long isn’t going to provide a definitive answer. Townsend said she had no immediate plans to leave the USTA after this. But she also did not rule out the possibility. With her ranking and achievements, as well as her potential, there isn’t an academy anywhere who wouldn’t fund a full scholarship for her. She and her family are raising this issue from a position of strength, and it’s not often a player, particularly a junior player, has that kind of bargaining position with the USTA. Townsend isn’t the first junior to question the philosophy and methods of the USTA. She’s just the first willing to talk about it.